Part of owning a cat is knowing that at some point or another they will probably be dealing with a case of intestinal worms. Intestinal parasites are everywhere, and it’s inevitable that your kitty will have them at some point in their life. Luckily, worms can be treated effectively and by investing in a top-quality de-wormer you can get your cat back to great and sound health in no-time. 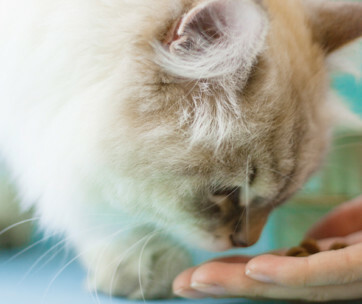 By keeping on track with their deworming schedule and administering the appropriate medications on the regular, you can ensure that your cat is worm-free. And a worm free cat is certainly a happy cat! Worms are common in domesticated animals and cats can easily pick them up. Most often they come into contact with eggs, or particles in feces by stepping in them, and will then ingest the particles when they are self-grooming. Once ingested there is a great internal breeding ground for the parasites. Other ways that kitties can get worms is by hunting rodents who have worm larvae in their tissue or eating flees who have worm eggs. While this all sounds a little grizzly, it’s a pretty common phenomenon and by working with your veterinarian and consulting our list of the best de-wormers you can ward off those worms in no time! The first pick on our list of amazing dewormers for cats is a top-notch product by Bayer Animal Health. These tablets offer a safe and effective way to tackle tapeworms and can be mixed in with your cat’s food, or simply given to them orally. Since the tablets crumble easily, sprinkling it over their food might prove to be a better way of administering the pill. These tablets can be given to cats over 6 weeks of age and are thus a great pick for kittens and older cats alike. These tablets do not require a prescription and are able to treat a tapeworm infestation with one single dose. Remember, if you are tackling worms, you’ll want to sort out possible flea problems too and thus this treatment should be taken in conjunction with an appropriate flea treatment. Users have commended this product on its amazing ability to treat worms and its great value. This brand combines top-quality effectiveness with a product that won’t break the bank, and thus it truly is a top pick. Number two on our epic list of cat de-wormers is a pick by ProSense. This liquid deworming formula is used to treat and control roundworms and can be used for kittens over the age of 6 weeks old. This is an effective solution to treating the parasites that can harm your kitty and deprive them of essential nutrients. You simply give your fur-baby ¼ of a teaspoon of the mixture for every 2.5 lbs of their body weight. After administering a dose on day 1, you wait for 2 weeks and then administer a second dosage on day 14. You then give this product to your cat once a month to avoid future parasite infestations and keep those roundworms away. Remember to give your cat this treatment shortly after they have eaten and to always follow the instructions that are included with your purchase. 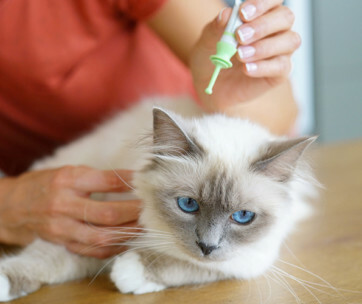 If your cat is fussy when it comes to medication, you can also pour this de-worming treatment over their food. Users have praised this product for tackling roundworms effectively and for its user-ease. Number 3 on our list is a fabulous liquid de-wormer by Excel. When it comes to pet health and care this brand truly know what they are talking about and they certainly won’t let you down. This solution is the perfect pick if your cat is struggling with large roundworms and suffering with symptoms of fatigue, weight loss, and a dulling of their coat such an infestation can cause. Users have commended this de-wormer for its quick and effective properties, noting that it is able to tackle roundworms efficiently and get rid of the symptoms that are associated with a worm infestation. This product is also in liquid form and is thus super easy to administer as you just pour it onto their food. If you cat isn’t a fan of taking tablets, then this is a great choice. This brand also boasts incredible value and is a great pick if you have a few cats who need to be treated in one go. As always, follow the dosage guidelines and consult your vet if you have any problems. Number four on our list is a particularly spectacular de-wormer and is the only de-wormer around that actually heals and supports the digestive tract. They say that digestive health is the seat of overall health and by healing it you can ensure optimal health for your beloved cat. While this brand is a little pricier than some of our other picks it tackles a number of different worms including roundworm, tapeworm, pinworm, giardia, whipworm, and ringworm and thus is a great choice if you are unsure of what worms are affecting your cat. This brand has been approved by vets and is 100 percent natural. Thus, it won’t cause your pet harm and is safe for regular use, whether treating worms, or preventing them. To use this great de-wormer you simply place the drops onto your cat’s food. As such, you don’t have to stress about giving them tablets, or messy powder getting everywhere. This mixture contains enough mixture for 2-7 treatments depending on the size of your cat and will heal their digestive tracts, while killing off the worms that make them sick. Tackles different worms including roundworm, tapeworm, pinworm, ringworm, whipworm, and giardia. 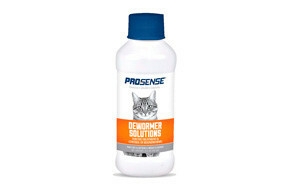 Up next on our list of best de-wormers for cats is an excellent treatment for cats dealing with ringworm. This vet approved solution provides an anti-fungal spray to eradicate ringworm infections in cats quickly and effectively. You simply mix the solution with water and place it in a spray bottle. Although this is able to kill 99.9 percent of pathogens and bring your cat almost immediate relief, this product is super safe and will not cause them harm or irritation. Utilizing a very low PH, this product boasts absolute gentleness and will alleviate a number of irritating skin complaints for cats struggling with ringworm. This safe and toxic solution is the perfect way to tackle ringworm and users have praised this amazing de-worming products for its amazing results. Simply follow the instructions and use cotton swobs to apply this magical formula. Number 6 on our list of incredible dewormers for kittens and cats is a great pick by CatNDog. These tablets are the perfect pick for cats struggling with round worm and tape worm. This product offers 3 tablets to users and has been praised for its effectiveness in tackling parasites. Since the tablets come in pill form, you’ll either have to open your cat’s mouth and administer the pill, or hide it in a delicious treat or wet cat food. 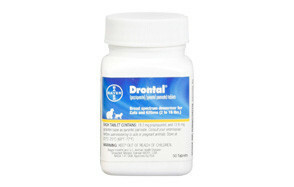 Users have noted that this dewormer works fast and is free from any nasty side effects. While this item is far pricier than our other deworming products it has been dubbed the Cadillac of the deworming world. This is a broad-spectrum de-wormer that is able to eradicate hookworm, roundworm, and tapeworm in both kittens and cats. This brand has been praised by pet owners and rescue organizations alike and is truly an effective product that works wonders when it comes to getting rid of worms. If you want to support and heal your cat’s digestive health, this you really can’t go wrong with this product. Worms if left intreated will begin to erode your beloved pet’s health and cause damage to their digestive tracts. By stealing vital nutrients, worms deplete your kitty of the important ingredients they need for optimum development and health. 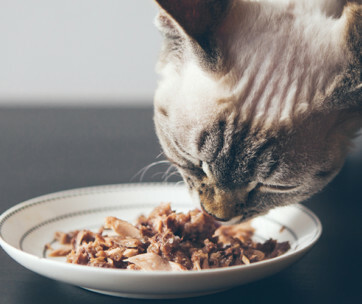 If you have rescued a cat and are unsure of their digestive health, then this is certainly a top-pick that boasts gold standards. Each pack contains 50 tablets and thus this will last for a while, depending on the weight of your cat. As always, consult the directions with regards to dosage. The final pick on our list of de-wormers for cats and kittens is an epic pick by CatNDog. When it comes to pet car this brand know what they’re doing and if your cat is struggling with roundworm or tapeworm then this is a top-pick that will alleviate their problems in no time. This brand is safe for kittens, but it’s important that you only use it for kittens who are 6 weeks and over as kittens who are too young cannot handle the medication. It’s also important not to use this on cats who are pregnant or nursing. Tapeworms and roundworms are treated in a single dose with this tablet and this it’s a super easy fix to worms for owners who are on the go and don’t have time to administer multiple doses of medication. 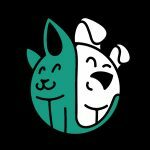 CatNDog are so confident in their product that they offer a money back guarantee to owners who aren’t satisfied with their product. To administer, simply crumble tablets over their food or treats. While some de-worming medications are all rounders that can tackle a myriad of worm species, other ones are specifically tailored to target a specific type of worm. It’s important that you correctly diagnose the type of worms your pet is dealing with (through an examination at their vet.) Your vet will perform physical exam and also test their stools to determine the exact worm type. Once you know what you are dealing with you can choose a brand that tackles that particular worm, or if needed, a de-wormer that tackles all different worms. You’ll also need to think about your cat’s ability to take medication and decide if you want to give them a de-wormer in tablet form, or liquid form. Tablets are great in that you know their exact dosage and can quickly get them down your cat’s throat. However, some cats simply won’t take medication and might be a bit unhappy with you forcing a tablet down their throat. If this is the case, you will want to opt for a liquid de-wormer that can simply poured over their food. Some de-wormers will have delicious flavors and your cat will simply think it’s a delicious treat. When in doubt, always consult your vet. They will be able to direct you in the right way when it comes to selecting a de-worming option. It’s also always important to follow the instructions that come with the medication to ensure that you are giving your cat the correct dosage. Most dosages are dependent on your cat’s weight and thus it’s a good idea to weigh them before administering medication. Round worm is perhaps the most common parasite amongst cats and account for over 70 percent of infestations. Roundworm is often caused by ingesting contaminated flee eggs or hunting a rodent with infected tissue. Roundworms can harm your cats because they steal vital nutrients from them and deprive them of important ingredients that are needed for their health and development. Roundworms are usually between 3 and 5 inches long and thus, in a small kitten can truly cause some serious problems. Once the worm has occupied their digestive tract they produce eggs. The vicious cycle then continues when your cat releases the eggs in their feces and other cats become infected. Luckily, the eggs can take many weeks to become infectice, so owners who practice good litter box hygiene have a better chance of getting rid of the eggs. Tape worm develops in the large intestine of your cat and parts of it break off and are excreted through their feces. However, this can happen intermittently and will not always be obvious to owners. If your cat has a tapeworm problem, there is a good chance that they will also have flees. As a rule of thumb, treat them for flees when doing the tapeworm treatment. Hookworms are smaller than some of the other parasites and might be a bit harder to spot. Hookworms are a bit of a nasty parasite and feed on your cat’s blood by attaching to their intestine lining. Hookworm larvae are usually ingested by cats, or penetrate their skin., Larvae usually move to their lungs, and then to the intestine. While not as common, some cats might deal with a whipworm infestation. These worms also congregate in the large intestine, but do not often cause as much harm as their counterparts. Nonetheless, whatever the parasite, it is paramount to treat it quickly and avoid further infection. Heartworms can be dangerous if left untreated and live in the heart and pulmonary arteries. Unlike other types of worms, heartworms are transmitted through infected mosquitos and not between species. If caught early enough they can be effectively treated. As always, always consult your vet if you notice your cat acting strangely or displaying any unusual symptoms. 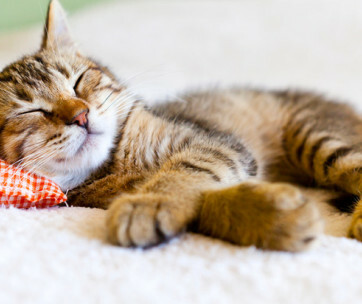 Your cat will be less active than usual and will seem to lack energy and excitement. This is a clear sign that they are feeling uncomfortable and the worms might be causing them extreme irritation. 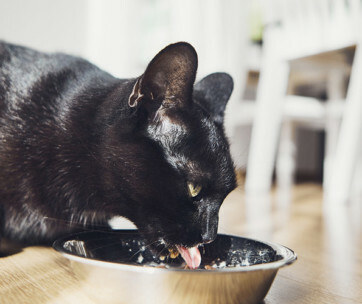 If your cat still has their usual appetite but they are quickly losing weight, it could be a sure sign that they are struggling with a worm infestation. When a cat has worms it doesn’t really matter how much food they eat, the worms will steal their vital nutrients and as such, your cat will begin to lose weight. Added to weight loss you might also notice that your cat is struggling with a bloated stomach. If your cat looks skinnier than usual, or has a bloated stomach, take them for a check-up at your local vet. It’s always important to get a medical opinion. 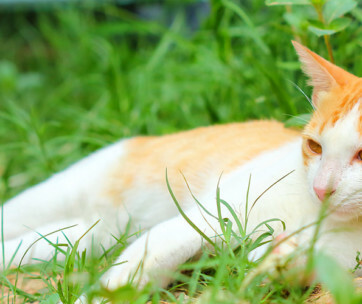 If you notice sudden changes in your cat’s coat, it might be a sign of a parasite. If their coats begin to lose their usual softness and shine, and become dull or coarse, they might be struggling with a worm infestation. Remember, the worms steal their essential nutrients and thus, they will be unable to showcase optimal health and well-being. Q: What Is A Dewormer? How Does It Work? A: De-worming medications are able to kill the infestation. Some are only able to kill adult worms and thus another dosage will be needed within 2-4 weeks to kill the eggs that will hatch. Different de-wormers treat different worms differently. For example, deworming medications that tackle tapeworms from within the intestinal track and break them up. Roundworm medication on the other hand is able to detach the worms from your cat’s intestine so that they come out in their stools. This means that you have to be extra fastidious with regards to hygiene and clean their litter trays regularly to avoid re-infestation. If your kitty is dealing with a ringworm infestation you should use a specialized shampoo or anti-fungal medications. 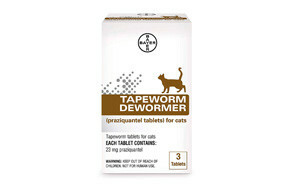 De-wormers thus work differently depending on the parasite that they need to tackle. A: Different brands of de-worming medications might take different lengths of time to completely kill of a worm infestation. It’s important to follow the directions meticulously and to repeat dosage if necessary. Since some medications will only kill adult worms and not tackle their eggs, it’s important that you give your cat a second dosage. Once you have effectively treated your cat for worms that have been diagnosed (by your vet) chat to your vet about prevention and implement a regular de-worming program to avoid future infestations. Q: How Do I Prevent Worms In The First Place? A: If you want to tackle worms (which are a super common problem amongst cats) you are going to have to be incredibly proactive. You will need to keep an eye on your cat and at the first sign of possible symptoms get them to your local vet who can perform a proper examination. You will need to be incredibly fastidious with cleaning their litterbox (as eggs are often found in their stools) and keep a firm handle on flea prevention. By ensuring that your pets are regularly de-flead you can go a long way in ensuring that they are worm free. You can de-flea your cats with medication, flea collars, regular grooming, and topical ointments. Some worms, such as roundworms, can occasionally impact humans too. Thus, ensuring that your cat is worm free not only retains their optimal health, but also supports you and your family. After much deliberation, we’ve opted for this awesome and effective de-worming tablet by Bayer Animal Health as our top pick. These tablets offer a safe and effective way to tackle tapeworms and can be mixed in with your cat’s food, or simply given to them orally. Since the tablets crumble easily, sprinkling it over their food might prove to be a better way of administering the pill. These tablets can be given to cats over 6 weeks of age and are thus a great pick for kittens and older cats alike. These tablets do not require a prescription and are able to treat a tapeworm infestation with one single dose and thus you don’t have to stress about a lengthy treatment plan. Users have commended this product on its amazing ability to treat worms and its great value. This brand combines top-quality effectiveness with a product that won’t break the bank, and thus it truly is a top pick for any kitty struggling with tapeworms.